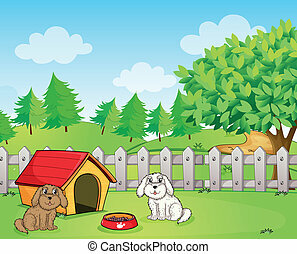 A doghouse near the wooden fence. 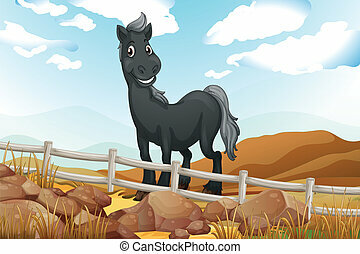 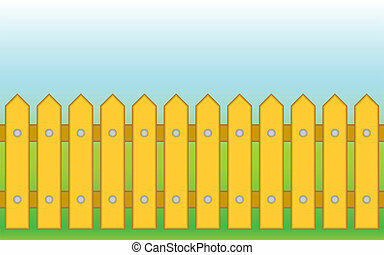 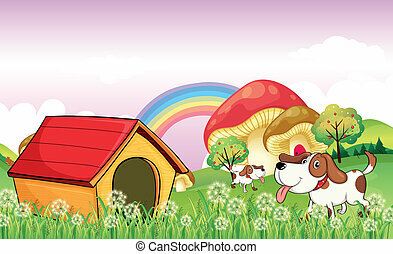 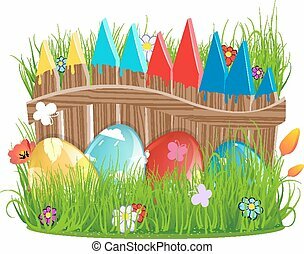 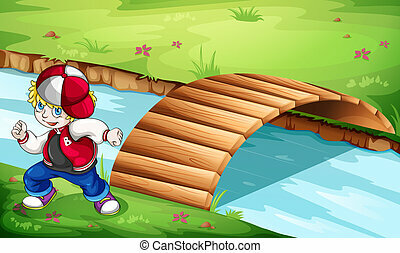 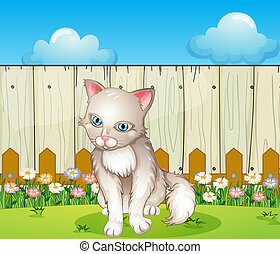 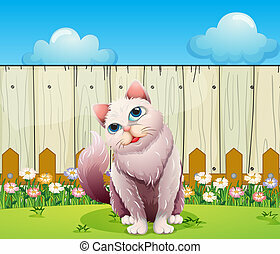 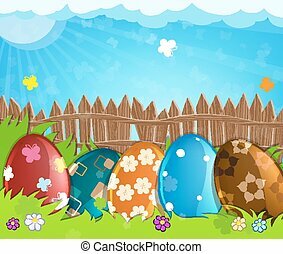 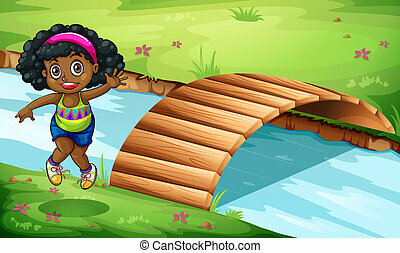 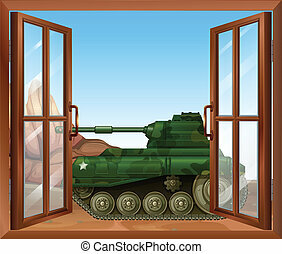 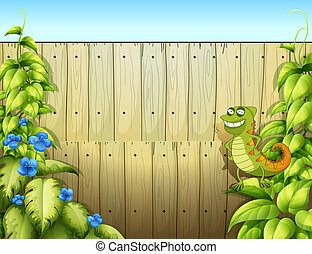 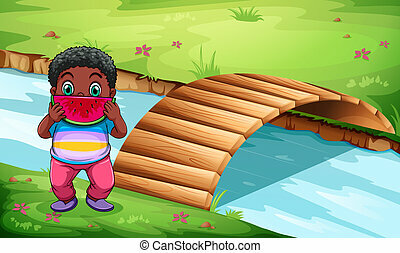 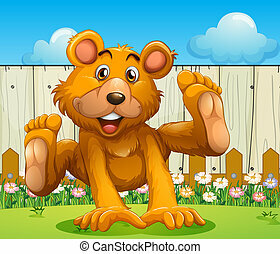 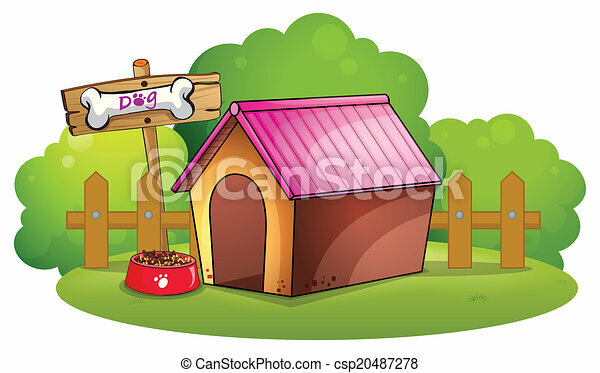 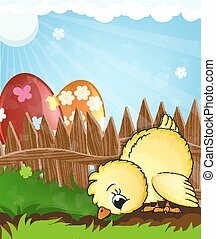 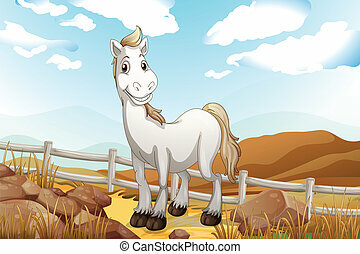 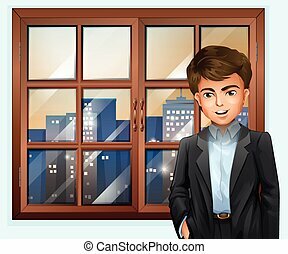 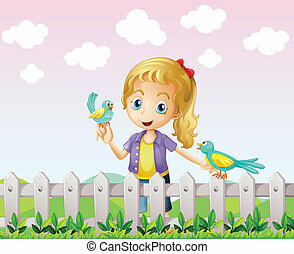 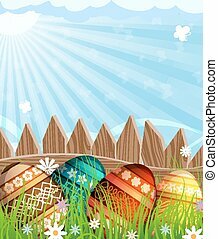 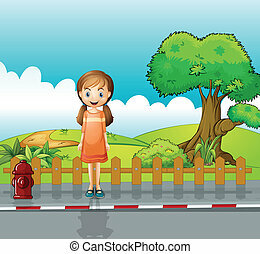 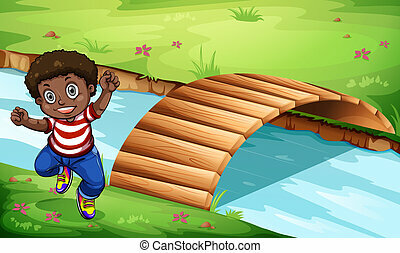 Illustration of a doghouse near the wooden fence on a white background. 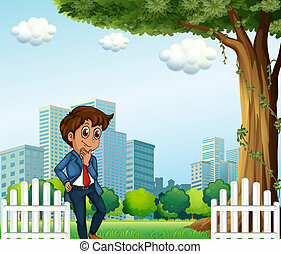 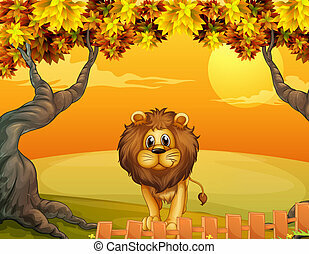 Vector abstract tree near a wooden fence in the night with big yellow moon and red sky. 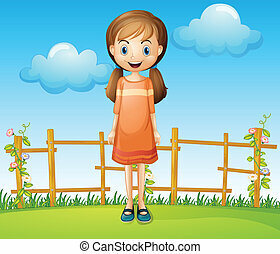 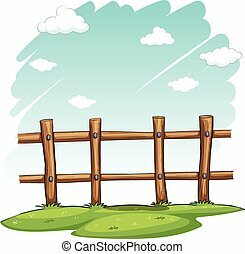 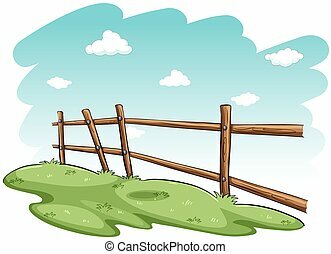 Wooden fence against the blue sky and a green grass.